There you go, the first month of winter already behind us along with the equinox … things are on the up and up! IT’S OFFICIAL and we’re pleased to share that our youngest son, Benjamin is now employed as a permanent staff member here at Silkies Rose Farm, Clonbinane. He will be working alongside us as part of improving our service both here at the Rose Farm and behind the scenes with the technology side of www.rosesalesonline.com.au, etc. Many of you will know and remember Ben as Chef at the Rose Café when our nursery was in Kilmore; he’s a warm and sincere personality and he’s been working around roses since he was a little fella so he knows and loves them well! After a minus 3 frost last Saturday, I didn’t really expect a great turn-out for the Pruning Demonstration – surprise, surprise the bold and brave came to the Rose Farm and we all enjoyed the event. 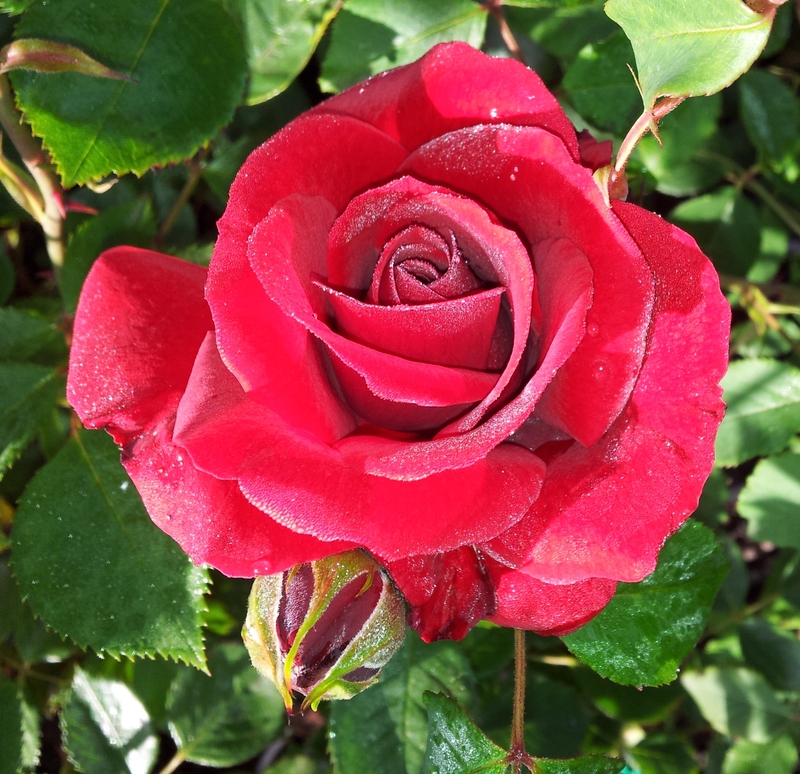 The next pruning demo is this SATURDAY – 30TH JUNE, commencing at 10.30am – wear your winter-woolies and bring secateurs and lots of questions about rose gardening and you’ll enjoy the event! Q: Did you hear about the unlucky sailor? A: First he was ship-wrecked and then he was rescued … by the Titanic! “Hi Jen … it was a pleasure as it always is … did you notice more people coming in immediately after you? It was a surprisingly busy day – you were the trendsetter though! There is truth in that ‘tale’ … most particularly when a rose has been in a certain location for many, many years – however, since your garden is so young, I would think that if you take a few decent shovels full of soil out of the hole along with the rose and replace that soil with a 30lt bag of compost/animal manure or blend of other soil and compost from other areas of your garden, the new roses will flourish in their new home! This is one of those ‘rose gardener moments’ when you put the head and the heart in sync and do whatever you think is appropriate to the occasion. All are still flowering after a considerable number of frosts in our region – they’ve toughed-it-out during long periods of extreme heat and being in a public garden, they are dependent on their own resources to continue flowering – our local Shire and members of the Wandong Community Group manage watering / weeding / pruning and so many local residents now use the park very frequently because it is so attractive! 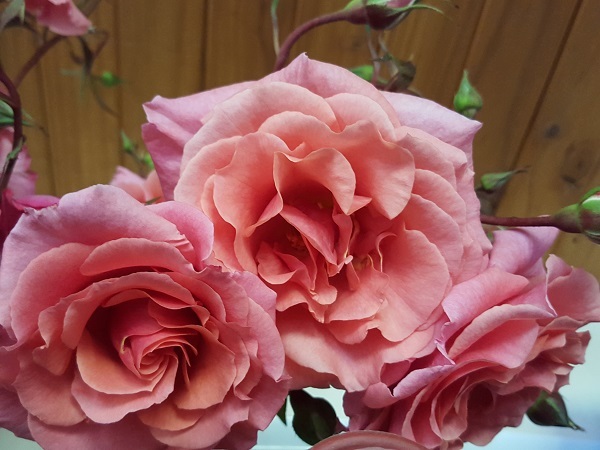 Now is the time to purchase these grand roses – all just $16.50 each plus pack/post!!! Yes, thousands of roses snugly bedded in the heel-in beds but before they get to that point, they’ve been graded (highest quality going to orders!) then they’re tagged with their pictorial labels, trimmed if there are damaged roots/branches and finally placed in the sawdust/manure bed which has been waiting for them to arrive. The heel bed is easy to access so make a point of coming to visit the Rose Farm in coming weeks to select your own bare-rooted roses – if you need a hand with garden design, bring dimensions of garden beds; photos are always handy! 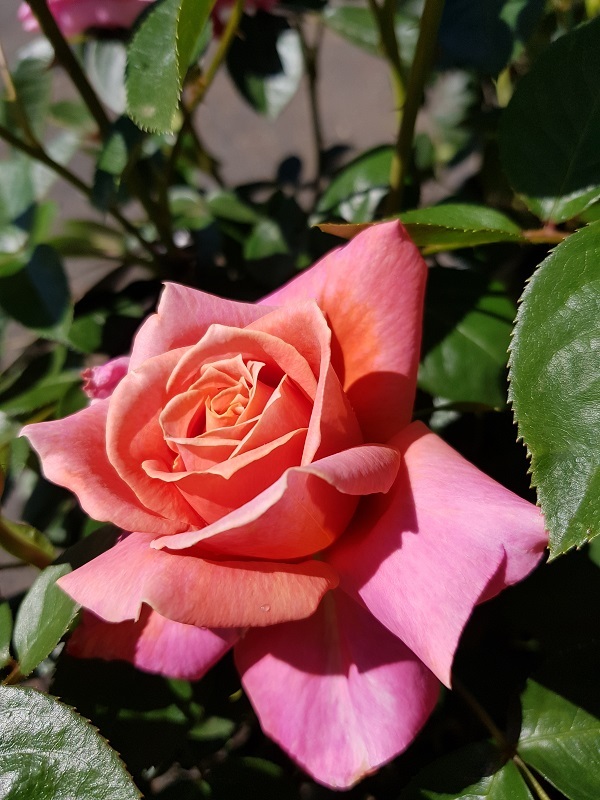 To ensure your garden has YOUR PERSONAL STAMP on it, help us out by bringing pictures of the types of roses you like, ideas about colours you want and any other issues you feel are relative so that together we can work to create the rose garden of your dreams! Our motto: DO IT ONCE, DO IT RIGHT … FIRST TIME! Q: Why couldn’t the toilet paper roll down the hill? A: Because he got stuck in a crack! 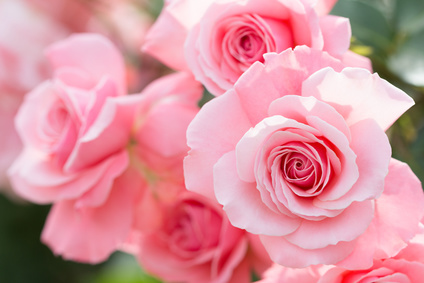 During the entire process of handling bare-rooted roses, the roots MUST NEVER BE DRY! Treat yourself and come to the Rose Farm at Clonbinane this SATURDAY, 23RD JUNE for a ROSE PRUNING DEMONSTRATION and walk in the gardens with me. Bring your secateurs so we can sharpen them – wear boots because it’s wet underfoot! Q: Why don’t Eskimos get married? A: Because they have cold feet! 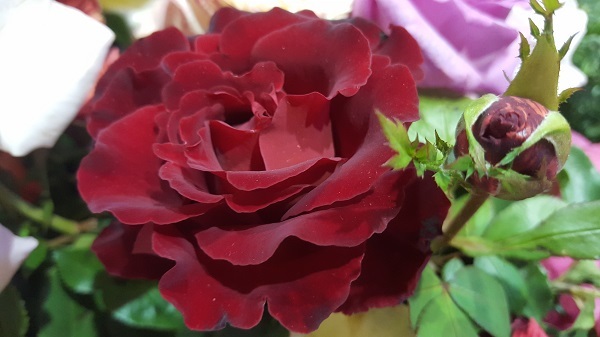 A COUNTRY WOMAN – we re-introduced this beauty because it really deserves to be widely distributed in honour of our wonderful COUNTRY WOMEN’S ASSOCIATION – a gorgeous long-stemmed pure red rose which isn’t overly thorny and makes a great vase specimen! 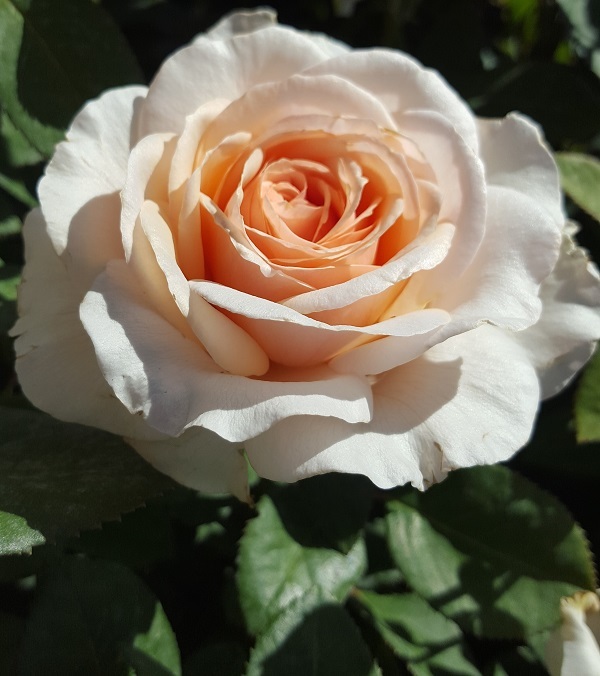 SUGAR MOON – seriously magnificent fragrance on purest white, perfectly formed blooms and a stately well-rounded shrub of high health. 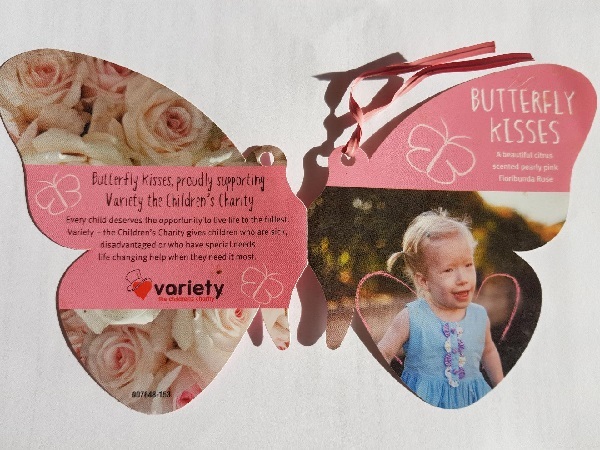 BUTTERFLY KISSES – in support of VARIETY the Children’s Charity; this pretty, pale pink beauty flowers in profusion on a healthy floribunda shrub and has a delightful citrus fragrance … a lovely rose for the front of a rose border or perhaps in a tub! We have been very diligent in selecting NEW RELEASE ROSES for 2018 – there are sooooo many new release roses and we have your interests at heart so we’ve tried to select the very best – some we’ve been privileged to plant and trial in our gardens here at Clonbinane so we know how they perform – others we have seen in the growers fields during this past flowering season. 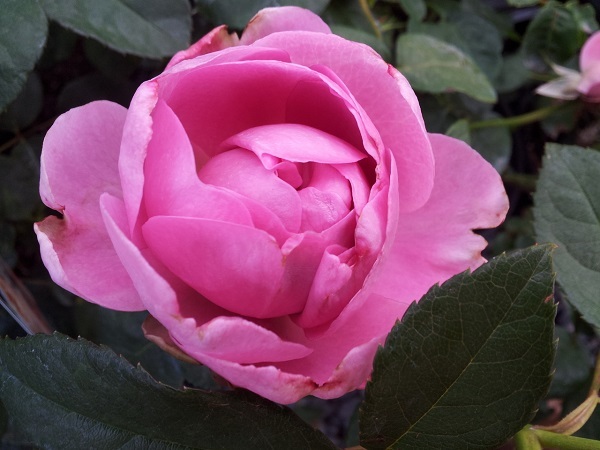 “Dear All .. My husband and I bought a wonderful English Rose PRETTY JESSICA in bud, at Taverham Nursery Norfolk UK after smelling one bush which was already in bloom. I was captivated by its glorious fragrance, absolutely gorgeous ! The team at Silkies Rose Farm / rosesalesonline.com.au – CLONBINANE, VIC. Hello dear rose friends where we are working in glorious winter sunshine after severely frosty mornings and some rain this week … exactly as we would expect the weather to be at this time of year! Enjoy inspiring presentations: JANE EDMANSON, STEPHEN RYAN, ATTILA KAPITANY and be there to visit a large number of niche vendors with unusual plants and allied products. The event is all UNDER COVER with FREE PARKING so ideal for visiting with predicted inclement weather this coming weekend – public transport is close by and you will be supporting the Royal Horticultural Society of Victoria with your presence! Do come and visit us!!! We’ve had a most thrilling bit of publicity these past few weeks with a story in the WEEKLY TIMES a couple of weeks ago followed by a magnificent presentation in SMALL FARMS MAGAZINE (includes TOWN & COUNTRY FARMER) June edition. 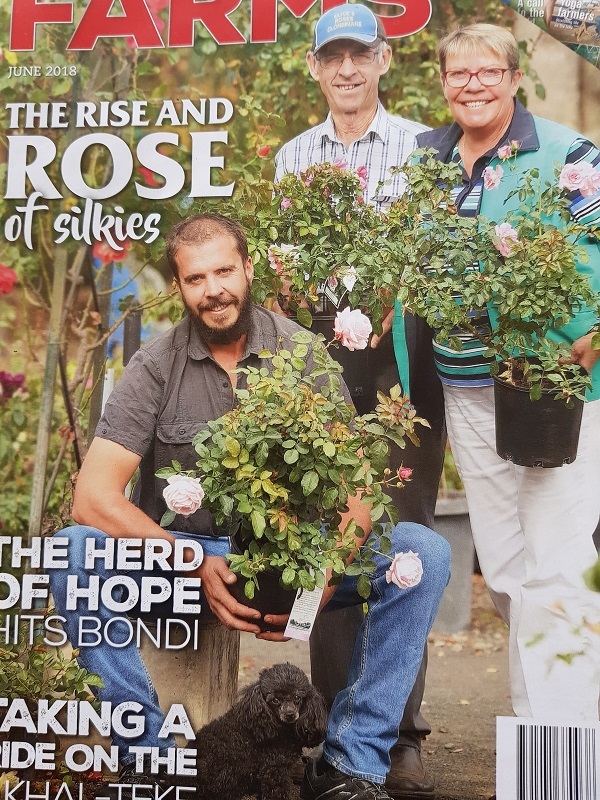 Our darlin’ toy poodle MOOI looks gorgeous in all the photos as does our son Ben and quite frankly, both Diana and I look great too so you MUST get a copy of this magazine – we’ve enjoyed all the other stories featured in this brilliant edition of SMALL FARMS MAGAZINE! Q: What do you get when you cross a fridge with a radio? A: Cool music. – this joke will be very apparent to our assistant TOVA who likes the radio on while she’s working – we’ve agreed to one day her music, one day ours – happy medium in our work place!!! I had a phone call the other day: “should I start the organic rose maintenance spray program NOW?” … and my response was: “DEFINITELY, YES! 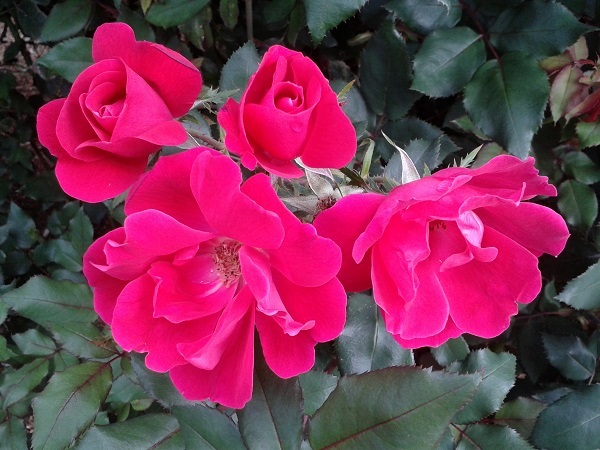 – if you start the program IMMEDIATELY AFTER PRUNING you will eliminate the need to do ‘catch-up’ if/when your roses incur disease/pest issues in spring. 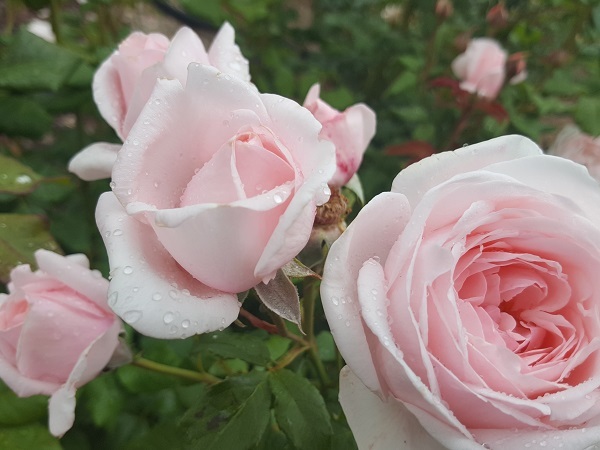 Get ahead of the insects and definitely protect new rose foliage from spring weather conditions which prevail to perhaps incur black spot/mildew! 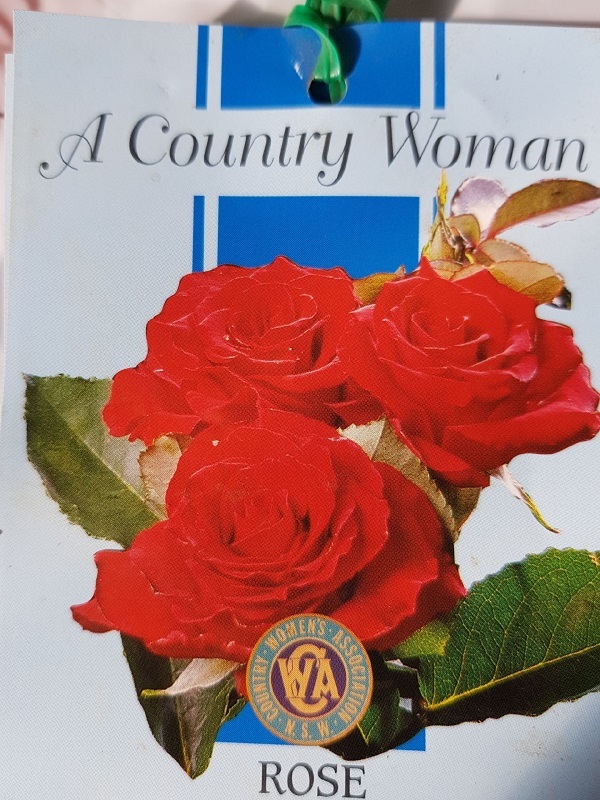 “I was leafing through the copy of AUSTRALIAN ROSARIAN, that you put in with my order and I discovered “Shirley’s Rose”. Normally I am not a great fan of white roses, but note that this one is highly fragrant, and my resistance just melted away ’cos my wife’s name is Shirley. So I thought: “I must have that for her”. 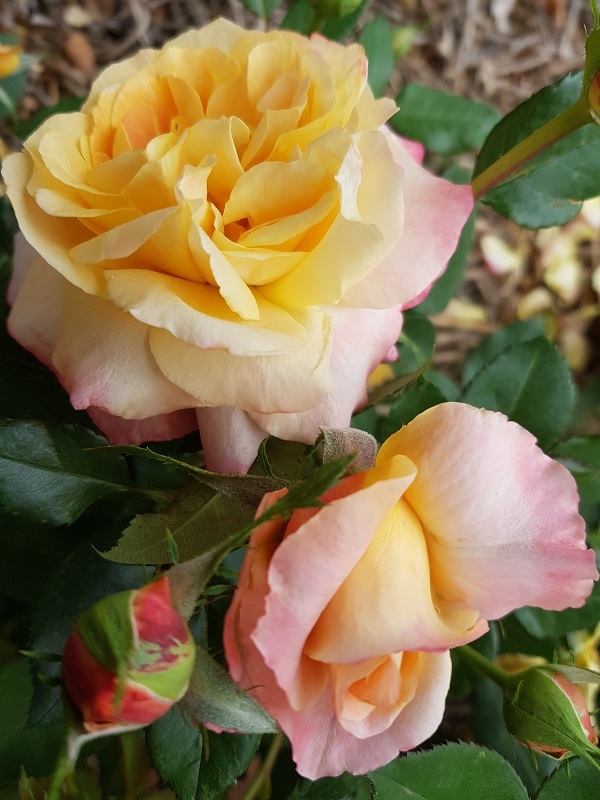 THE OPPORTUNITY ROSE will be the very first rose to flower at the beginning of the flowering season in any State – it will also very likely be the last to flower and produce a most stunning display of blooms continually throughout the season – top rose! Hi Diana, just a quick question if I may. I have a shady(ish) spot in the front garden that I’d like to grow something. It gets sun in summer for half a day (but not full sun where I’m planting the other roses you’re sending) and a little sun in winter. There’s a frangipani in the same planting bed but not much else. I’ve been reading that the DANSE DE FEU climbing rose can be grown in shade but not sure if that’s really true! MY RESPONSE: Honestly Lisa … if ANY rose doesn’t get at least 5 hours of sunlight per day while it IS ESTABLISHING it will not give you the joy I would expect … if you were planting the rose in open ground, no frangipani, no other shade trees, etc. 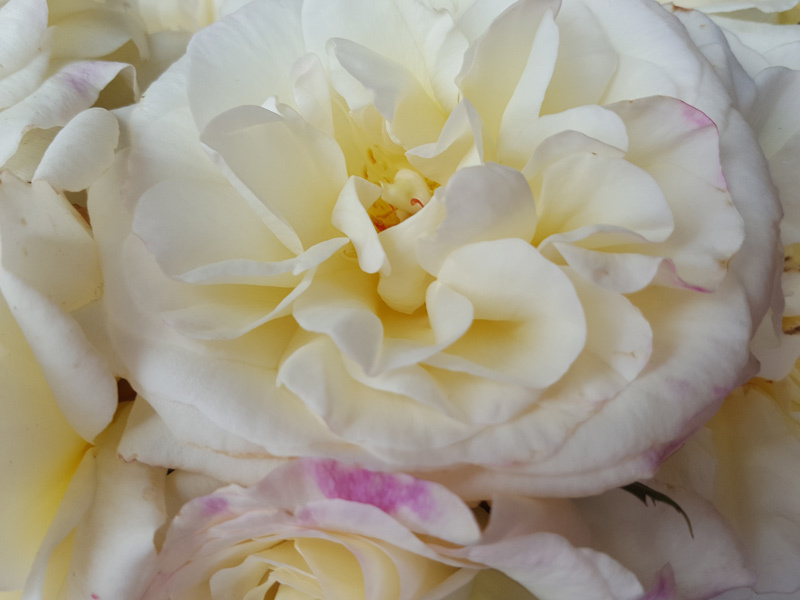 then you plant ALL THE PLANTS TOGETHER … it MIGHT work for a rose of exceptional quality – very high-health and extremely prolific since the shady location might cause foliage to incur powdery mildew / black spot but it might also reduce the flowering capacity! However, to plant a rose in an existing shady location, it probably won’t flourish. 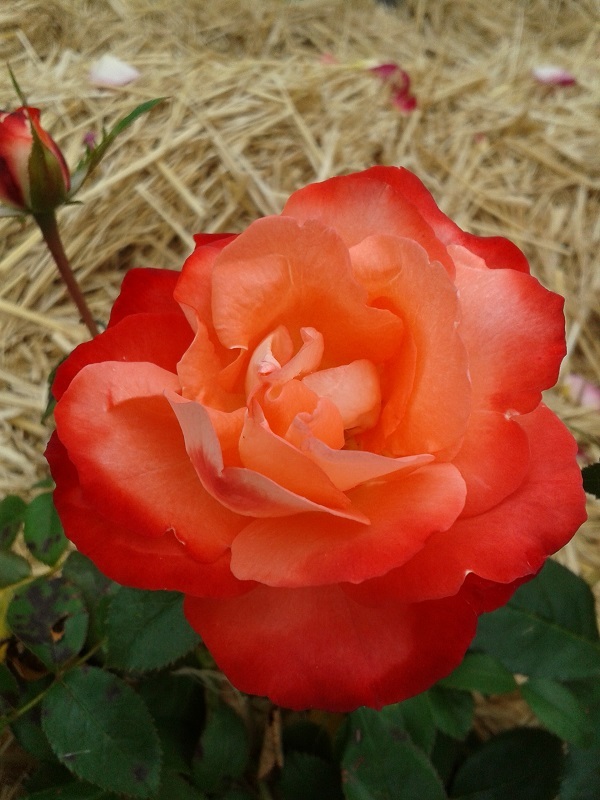 The rose you mentioned: DANSE DE FEU is one I have never grown but do remember the name from when we first started in roses 35 years ago. We’ve done it so many times but it is a great rose so let’s do it again! Hello dear rose friends as winter kicks in and we share this quotation from ‘The Four Seasons’ newsletter of Australia Biodynamic – Victoria Inc’ most interesting winter edition. Winter is a very important time for nature. The earth is inhaling; all the forces are drawn underground into the soil to enable new life in spring. Plants submerge their energy into their roots; movement slackens as matter and energy concentrate. 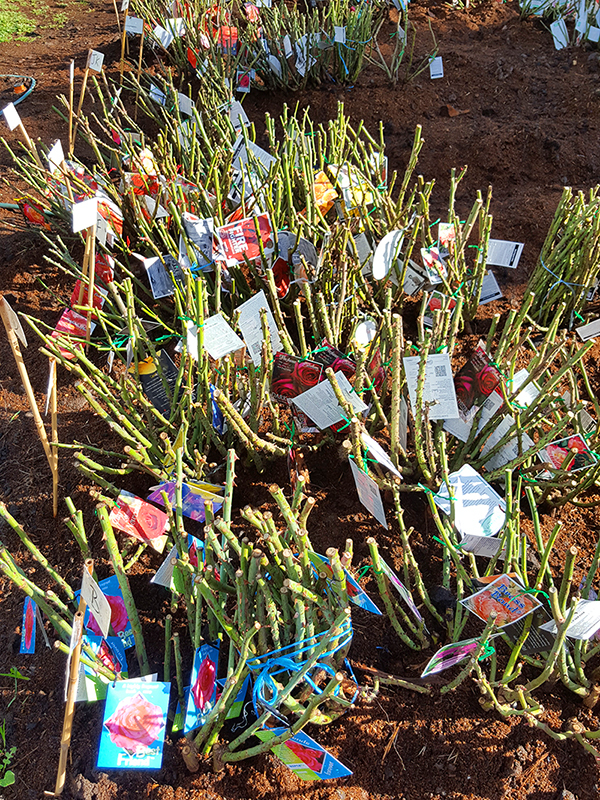 Here at Clonbinane we have put our heads down and our bums up as we get stuck into distributing the most glorious rose bushes – another consignment arrived this week … so please be patient as we are processing your orders efficiently and quickly as possible. 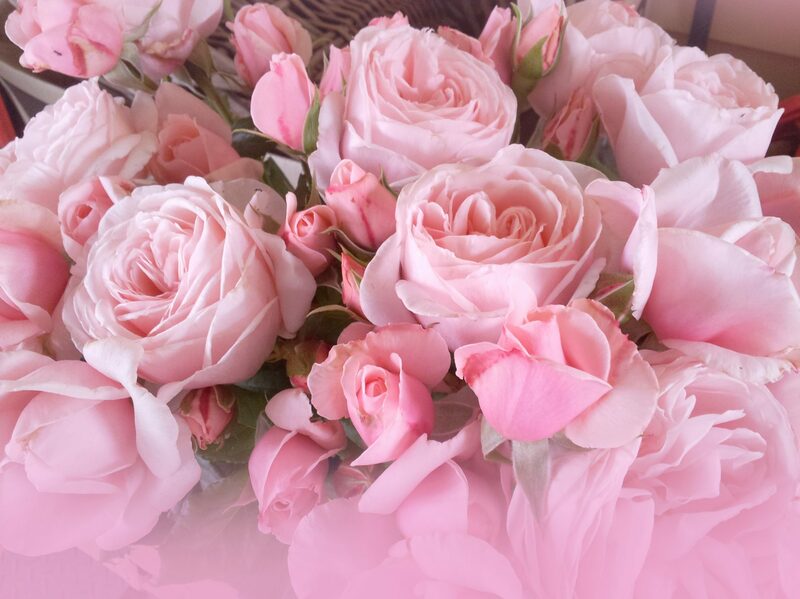 “Hi Diana, I just wanted to thank you so much for the Rose I ordered for my friend who is currently undergoing treatment for cancer. The rose arrived at the same time as I received a text from her to say she was in hospital, so it was perfect timing. She was so thrilled with the rose and even more thrilled with what ‘Joy of Life’ symbolises. It certainly made the rose extra special. “Good afternoon Diana, I have just collected my ALI BABA climbing roses that I purchased from you from the post office. Beautifully packaged. Once opened I found two magnificent roses. I have sat them in the shade outside and I will plant on Saturday morning. My only problem is: where shall they go. I keep changing my mind. I have loads of fence to cover, but I want to be able to see them from my office. Do you need a bit of a hand with pruning your roses this winter? Come on up to Clonbinane on one of these dates and I’ll spend an hour or so teaching you all the different pruning methods so you can go home and prune your roses with confidence. There’s no cost for the demonstrations – bring your secateurs, your kids and a bucket-full of enthusiasm for rose pruning and organic rose management! Q: Why did the cat put the letter “M” into the freezer? A: Because it turns ‘ice’ into ‘mice’. 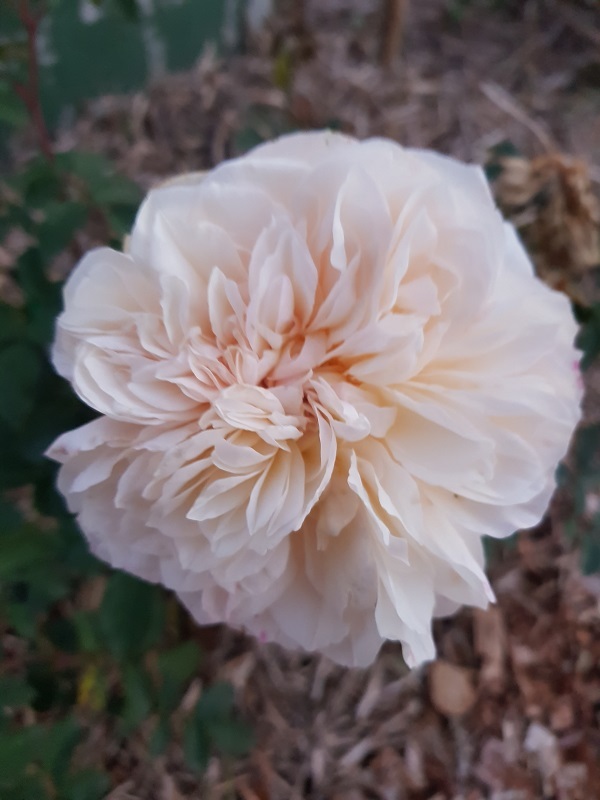 LICHFIELD ANGEL was recently planted on the driveway border – it was spectacular this afternoon and even the foliage is clean which means it’s not ready to shut-down for winter this early – I guess, because it was bred in England by David Austin it has special qualities? NAHEMA is always continually pruned for flowers so it would naturally be still flowering now but in the bed facing south-west, it gets brutally hammered by frost … I could go and pick a bunch of flowers today … such a special climbing rose! HOMMAGE A BARBARA is also subjected to extreme frost facing south on the shed wall yet there is a great show of colour and I could definitely pick a vase of flowers to place on Diana’s desk this week … a real beauty for a hedge and constant display of darkest red! Q: Why can’t you play a practical joke on snakes? A: Because they don’t have a leg to pull! Lots of customers are sharing their ‘autumn rose garden’ stories … lots of lovely blooms, extreme fragrance but foliage starting to show signs of shutting down for winter – don’t bother applying the organic rose management program to your roses now as it’s time for them to lose their foliage and the only mechanism they have for this is to incur black-spot and yellow foliage which then drops and the rose plant defoliates. If you don’t like looking at the affected foliage, get to and prune the roses. If you like to be a bit more ‘c’est la vie’ let the roses shut down naturally before you prune – either way is OK! 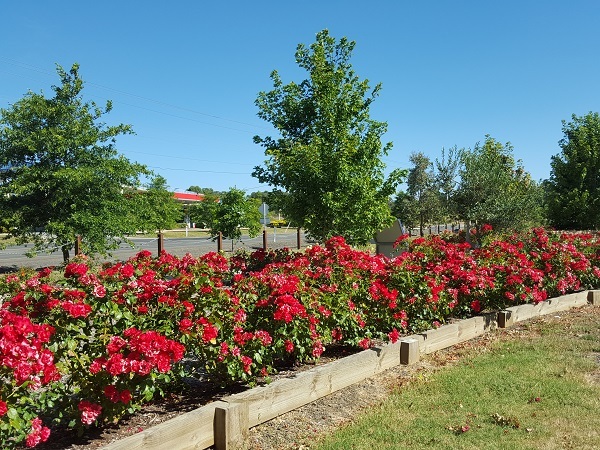 If you plan on travelling this winter, don’t stress about the roses – either prune BEFORE you leave or pack your bags, have a beaut winter holiday and prune the roses when you get home in August/September! Yes, with quality fertilizing after a decent late winter prune, the roses will still flower in November!!! Enjoy all the fragrance of the last roses from this past flowering season – it might be months before we experience this delight! 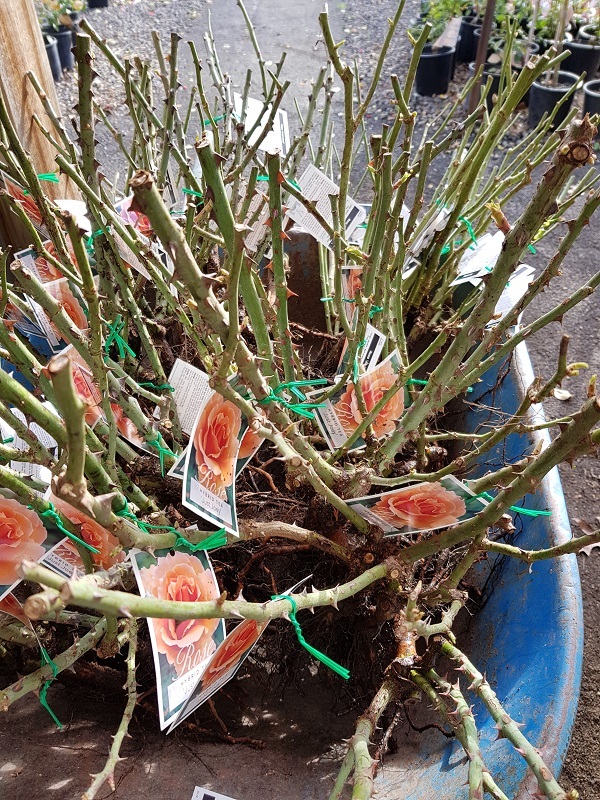 Cheers from the team here at Clonbinane who are working flat-out to get your bare-rooted roses dispatched so you can plant your rose garden! Graham, Diana, Tova, Ben, Leigh and of course, MOOI who knows you’re here!